This is a crude photo of our brand new Garmin nuvi 855 GPS in action. For the less than 1 mile trip to the gym it performed wonderfully. The real accomplishment in my mind though, was the setup. To full appreciate how incredible it was you have to consider the good old days of GPS setup. Thinking back to our first GPS, I recall setup went something like this: (1) charge the device for 24 hours before doing anything. (2) Turn it on, outside and in the wide open, and wait the 20+ minutes for the device to scan the globe and find your location. (3) Using special mapping software on your desktop, select the parts of the country you wanted on the device (naturally, the memory card wasn't big enough to select it all). (4) Wait while a master map file was compiled and copied to the device via some cable that was always being misplaced. Finally the device was ready to use. The Garmin 855's setup went like so: open up box, put in battery, turn on, answer some basic questions, and we ready to use it. While answering the setup questions, the satellite homed in on our location, even though we were inside. I noticed the package came with an extra do-dad*. I checked the manual, and apparently it was a hands free voice activated trigger. I pulled the plastic tab from the batter compartment, pressed the button and the GPS chirped. I said: Go Home and it kindly told me I needed to set my home address on the device. A fair point. At this point I'm thinking, holy smokes, I've got the computer from the USS Enterprise in my hand. To be completely truthful, the speech recognition isn't perfect. When we ask for a route to Bally's it gladly responded it would get us to a deli. How nice of it. But still, it was impressive none the less. This all has me wondering - in another year or two, when we buy another GPS new features will be added then? If they can keep the pace they've been setting so far, they're going to be something really impressive. 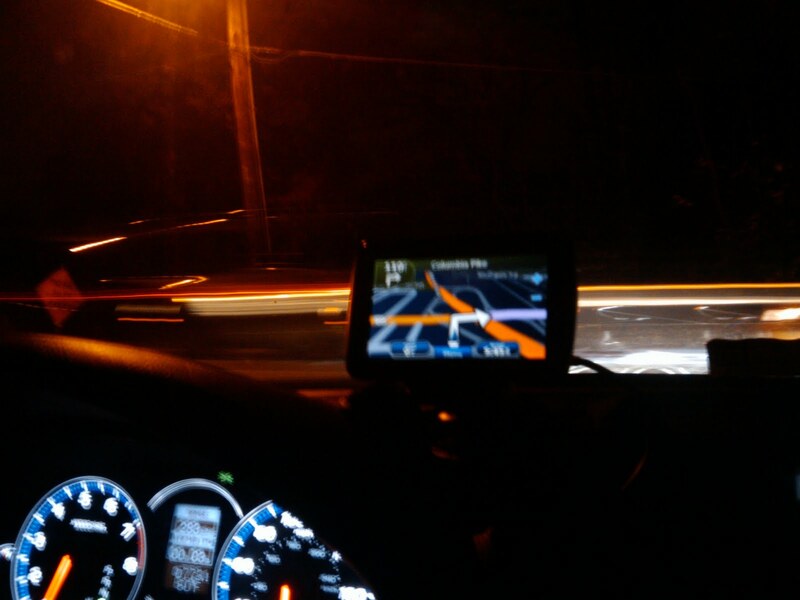 It's probably also worth noting that we bought the GPS off of eBay from yourelectroniczone. The device was sold as refurbished, but appears by all accounts to be brand new. From a shopping perspective, we couldn't ask for anything more than what we got. This turned out to be a good reminder that eBay is still an excellent way to save money on electronics. Looks solid! I like my older model Nuvi as well. I do think this is the last GPS device I will buy though. With GPS integrated into most phones now it makes sense to just buy a mount for the phone. I'll still use my Nuvi until it dies or until the features on the phone surpass it. With Android's new talking google maps functionality, you may just be right. Though, there is something especially beneficial about having a device that's specialized just navigation. It reminds me of the time (many years ago) that I tried using my desktop as an answering machine, rather than using a standard $19.95 one. I got all sorts of cool features, like the ability to remotely access voice mail. I also got the joy of my answering machine crashing and having bugs in it. In the end, I switched back to the boring old device - I decided I'd rather just having something that worked, rather than had lots of features.